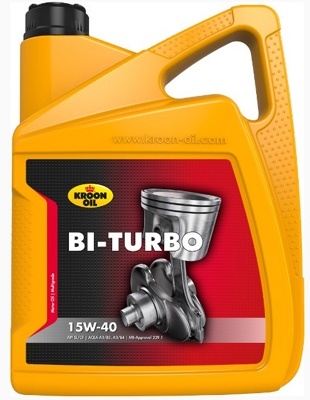 KL00215 Kroon Oil Bi-Turbo 15W-40 ACEA A3/B4 API SL/CF MB 229.1 1 л 103.73 грн. KL00328 Kroon Oil Bi-Turbo 15W-40 ACEA A3/B4 API SL/CF MB 229.1 5 л 475.75 грн. KL00221 Kroon Oil Bi-Turbo 20W-50 ACEA A3/B3 API SL/CF 1 л 102.99 грн. KL00340 Kroon Oil Bi-Turbo 20W-50 ACEA A3/B3 API SL/CF 5 л 466.93 грн. KL02219 Kroon Oil Emperol 5W-40 ACEA A3/B4 API SN/CF 1 л 141.75 грн. 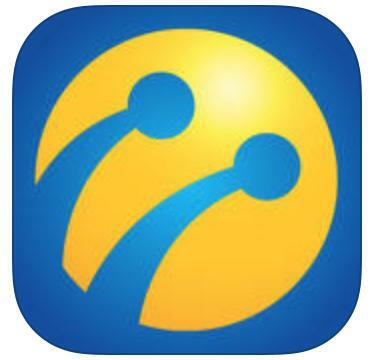 KL33217 Kroon Oil Emperol 5W-40 ACEA A3/B4 API SN/CF 4 л 506.41 грн. KL02334 Kroon Oil Emperol 5W-40 ACEA A3/B4 API SN/CF 5 л 614.8 грн. 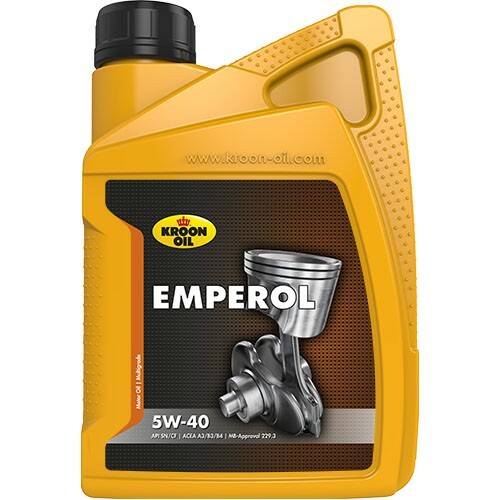 KL02222 Kroon Oil Emperol 10W-40 ACEA A3/B4 MB 229.1 VW 502.00/505.00 API SN/CF 1 л 110.35 грн. KL33216 Kroon Oil Emperol 10W-40 ACEA A3/B4 MB 229.1 VW 502.00/505.00 API SN/CF 4 л 398.51 грн. KL02335 Kroon Oil Emperol 10W-40 ACEA A3/B4 MB 229.1 VW 502.00/505.00 API SN/CF 5 л 493.42 грн. KL02226 Kroon Oil Helar 0W-40 ACEA A3/B4 API SM/CF MB 229.3 VW 502.00/505.00 BMW Longlife-01 Renault RN0700/RN0710 Porsche A40 1 л 231.25 грн. 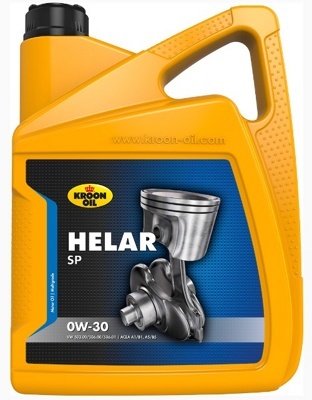 KL02343 Kroon Oil Helar 0W-40 ACEA A3/B4 API SM/CF MB 229.3 VW 502.00/505.00 BMW Longlife-01 Renault RN0700/RN0710 Porsche A40 5 л 1050.58 грн. KL20027 Kroon Oil Helar SP 0W-30 ACEA A1/B1, A5/B5 VW 503.00/506.00/506.01 5 л 1238.44 грн. 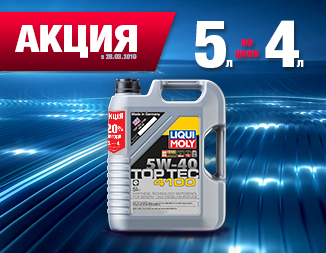 KL31071 Kroon Oil Helar SP 0W-30 ACEA A1/B1, A5/B5 VW 503.00/506.00/506.01 1 л 282.02 грн. 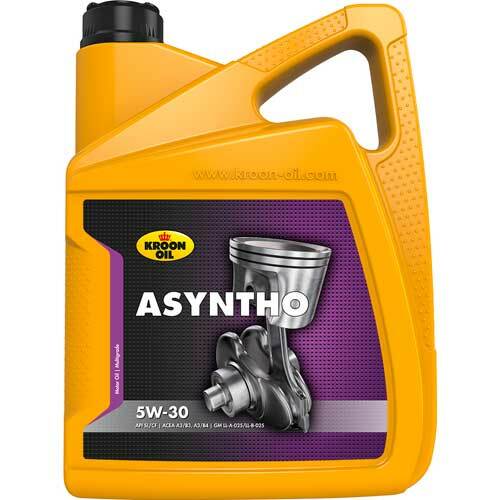 KL20029 Kroon Oil Asyntho 5W-30 ACEA A3/B4 API SL/CF Meets the requirements of GM LL-A-025/LL-B-025 5 л 742.57 грн. KL34668 Kroon Oil Asyntho 5W-30 ACEA A3/B4 API SL/CF Meets the requirements of GM LL-A-025/LL-B-025 4 л 604.25 грн. KL31070 Kroon Oil Asyntho 5W-30 ACEA A3/B4 API SL/CF Meets the requirements of GM LL-A-025/LL-B-025 1 л 163.09 грн. KL20062 Kroon Oil Emperol Racing 10W-60 ACEA A3/B4 API SL/CF 1 л 206.24 грн. KL34347 Kroon Oil Emperol Racing 10W-60 ACEA A3/B4 API SL/CF 5 л 980.94 грн. KL31257 Kroon Oil Specialsynth MSP 5W-40 ACEA A3/B4, C3 API SN/CF Approved under VW 505.01 Approved under VW 502.00/505.00 MB-Approval 229.51 BMW Longlife-04 Ford M2C917-A Porsche A40 Renault RN0700/RN0710 Fiat 9.55535-S2 Dexos 2, MB 229.31/226.5 1 л 162.35 грн.